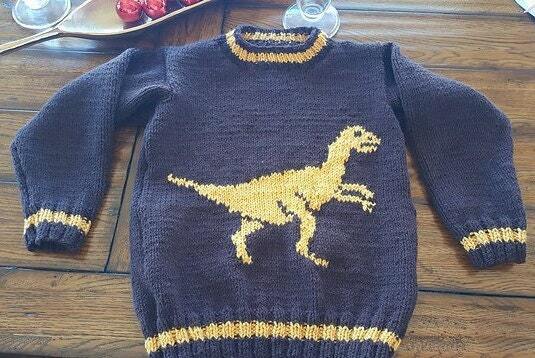 Knitting pattern for those "Dinosaur Mad" youngsters. 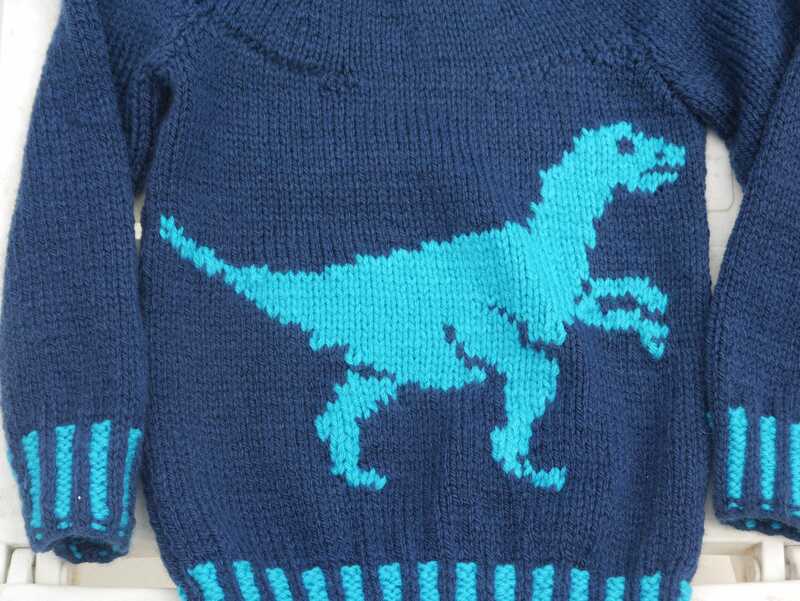 Knitted in Aran/Worsted (10 ply) Yarn so grows very quickly. 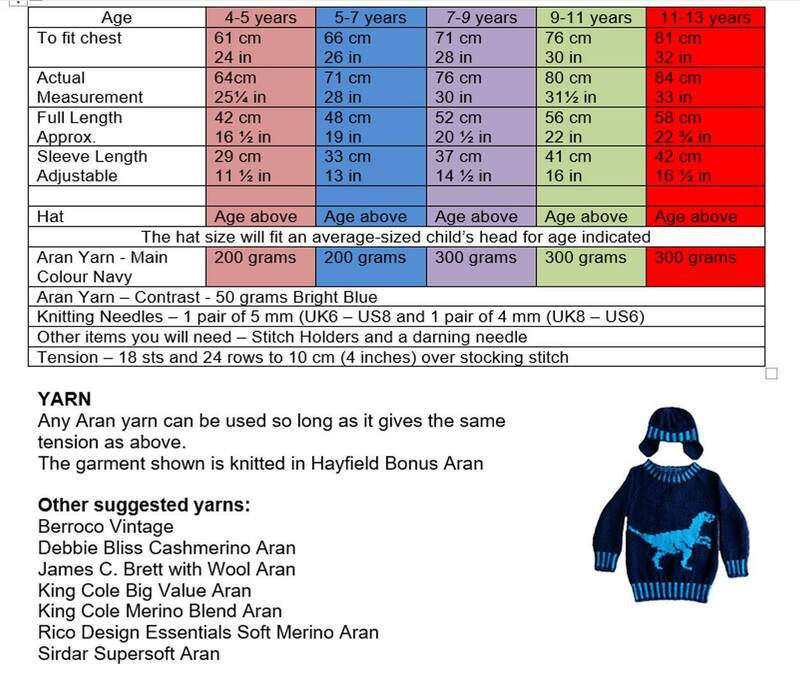 Large, coloured intarsia chart to follow for the Velociraptor. The rib is 2 x 2 rib with a change of colour every 2 stitches across the row. 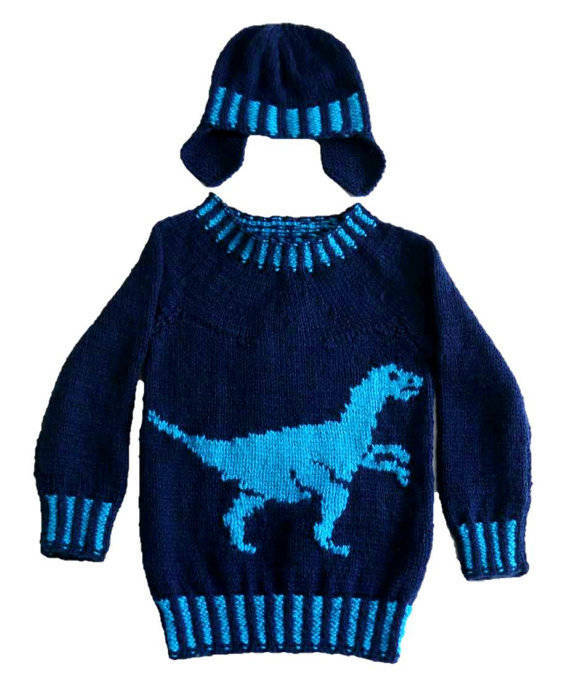 The sweater features a dinosaur (Velociraptor) on the front and the hat has flaps to keep those ears warm. Any Aran/Worsted yarn can be used so long as it gives the same tension as below. 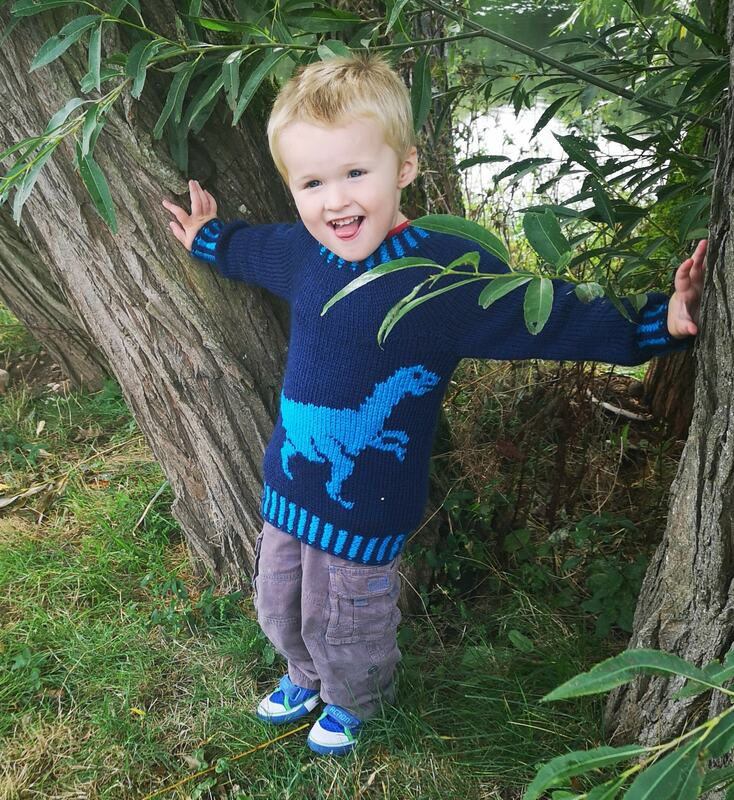 The garment shown is knitted in Hayfield Bonus Aran. Made it and I love it. So far this is an awesome pattern. Just started it this week. Pattern looks good and is as described. 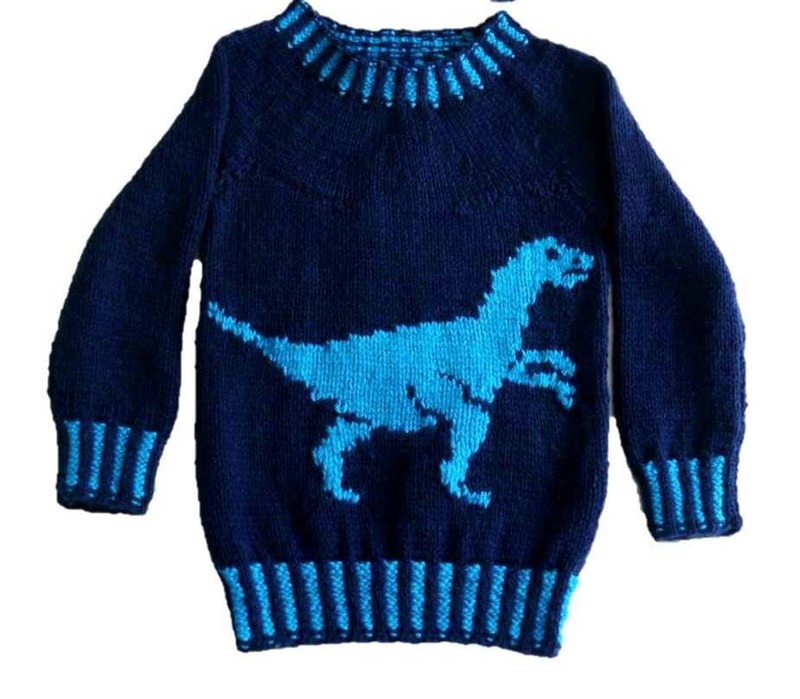 Have used the dinossaur pattern in another concept and it is perfect!!!! My son loved it!!!!!! !